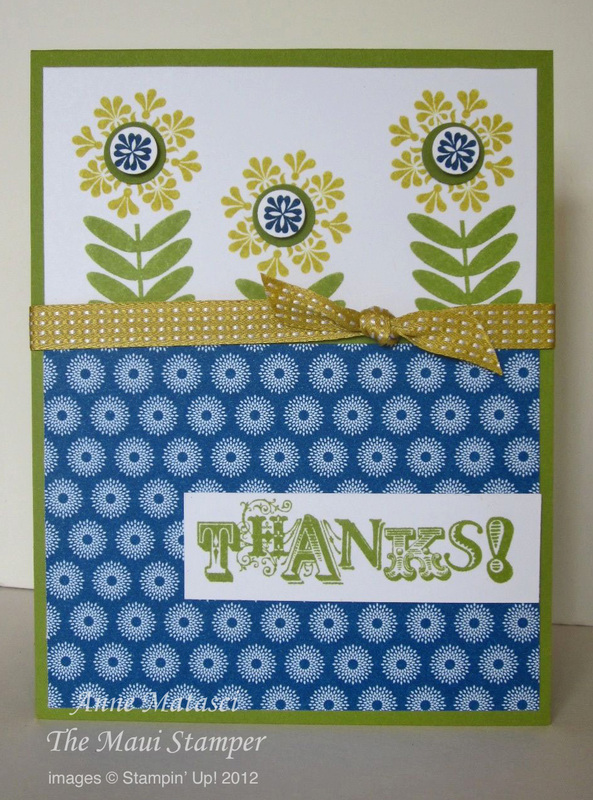 What would I do without Stampin’ Dimensionals? They are the unsung heroes of my craft table…along with Glue Dots, Sticky Strip, and Tombo the Wonder Adhesive, that is. But dimensionals stand above the rest (GET IT??? Stand above??? Think…think…) Love the lift they give my projects! The SAB sets this year are real winners – love both of these but especially those Vintage Verses – so much you can do with them! Coming January 22nd! Oh, Hello – and Thanks!